Make a centerpiece — it’s time to celebrate! Nothing beats the sweet smell of cedar inside. 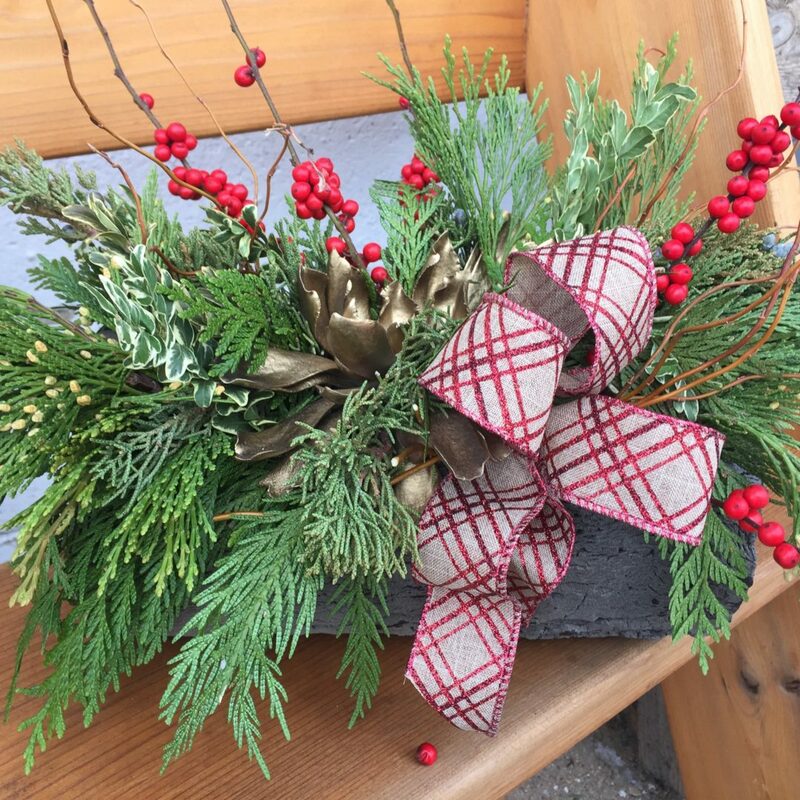 Arrange fresh greens in a reusable birch log, then add a few details to make it your own — maybe a ribbon that plays off your decor, or glittery cones to sparkle by candlelight. We can help, give us or call or stop up at the greenhouse!